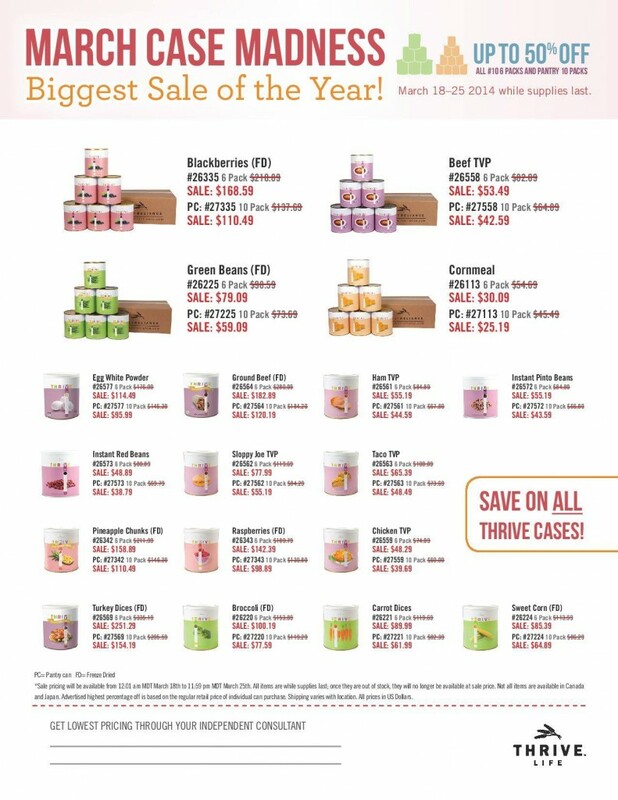 March Madness Thrive Life sale! Up to 50% off! 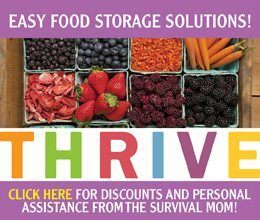 I’ve been an independent consultant with Thrive Life ever since I discovered from various taste tests, that their foods are among the very best in the “survival food” industry. The fact is, their foods are designed not just for food storage but for everyday cooking. I regularly use their freeze dried mushrooms (they look fresher than fresh), strawberries, and multiple veggies in my cooking. I just started using their herbs and sauce mixes. From March 18-25, cases of their foods are discounted up to 50% off while supplies last. This discount applies to all #10 can 6-packs and pantry-sized 10-packs. Click here for a better graphic of the sale flyer and here to start shopping. Have you tried the whole milk and sour cream from Thrive Life and are you a distributor for them? Not that it matters, but if you are them I will order from your site rather than there website.